Pine Valley and the surrounding areas offer an endless array of year-round outdoor activities that your entire family is sure to enjoy. From hiking to fishing to nature photography and even stargazing, there is always something new to see and exhilarating to do in Rim Country. The trail conditions in the Rim Country can range from easy to very difficult. A trailing experience can include anything from the fulfilling opposition of steep grades and heavy brush, to the exciting discovery of spectacular scenic views and peaceful seclusion from the pressures and congestion of society. There ar hundreds of trails to choose from varying from beginner to advanced that offer a new adventure each day. For birdwatchers, the diverse ecosystems of the Rim Country provides the opportunity to view many species of wild birds. You don't have to venture far from your new home at Woodshire at Elk Rim to admire the birds that seasonally migrate to Northern Arizona. If bird watching is your flight of fancy, the immediate area surrounding Pine offers plenty of birding hotspots. A short drive to Payson offers numerous parks and trails, and even more vantage points can be found along the East Verde River or down around Roosevelt Lake and see how many different birds you can spot. Almost every night, Mother Nature treats us to an incredible light show. With clear skies and ordinances that limit nighttime lights, stargazing is more than just a rare treat. Have you ever seen thousands of glittering stars that seem so close you can almost touch them? Now you can. There are many locations throughout Pine and Payson known to be prime stargazing sites, but the best one might be your very own front porch at Woodshire at Elk Ridge. When you own a home in Rim Country, sleeping indoors merely becomes an option. 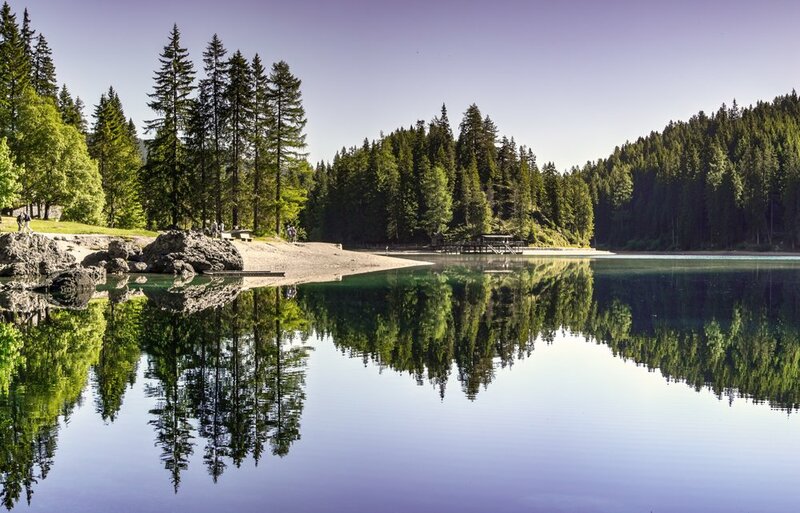 Truly get in touch with nature by embarking on a backpacking or camping trip from your new home base in Pine. 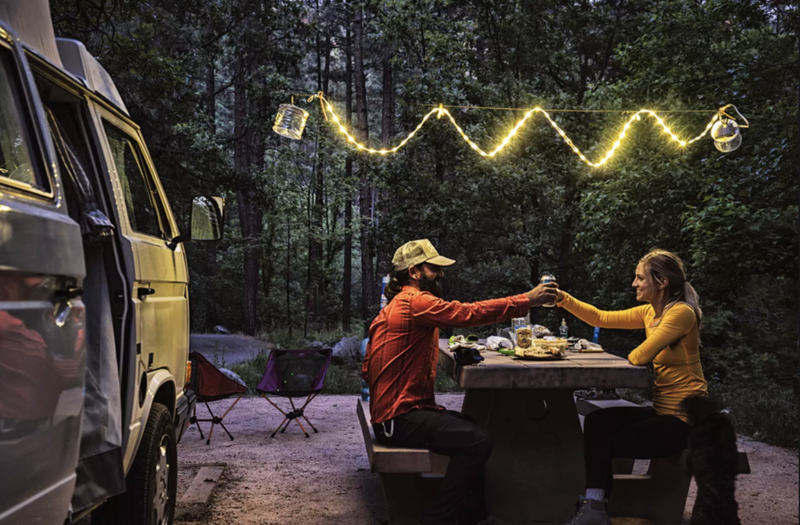 There are dozens of incredible campsites and backpacking trails - both on and off the grid - for the campfire and sing-a-long campers to the serious trekkers. Your outdoor adventure starts now. Awaken your spirit and invigorate your body and soul when you reconnect with yourself in nature. The peaceful solitude you can find in the woods is something you will come to treasure. Whether our are just learning the poses, or you seek a spiritual retreat, Pine offers the opportunity for guided spiritual retreats, yoga practice or simply reconnecting with yourself and the world. Up here, there's plenty of room to stretch. Take a deep breath and exhale....it's good for you. Trout, both stocked and stream-spawned, inhabit many of the streams just below the Mogollon Rim. The lakes, reservoirs, and lower-elevation rivers are home to a variety of warm-water sport fish. Rim Country is full of lakes stocked with a variety of fish species and all are within an hour from Pine. Several of Arizona's fishing records have been achieved in and around Rim Country waters. Of those waters, Roosevelt Lake has few rivals in producing trophy fish. If you are angling to fish, you'll find plenty of fish in the lakes up here. Boating, swimming, canoeing, paddleboarding and lakeside yoga are just a few of the ways to enjoy life on the water in Northern Arizona where there are numerous picturesque lakes just a short drive away. Green Valley Lakes, Bartlett Lake, Willow Springs Lake and Rim County Recreation Area are all nearby lakes that offer boat rentals, water activities and fun in the sun. No Arizona summer would be complete without time spent on the lake. It doesn't matter if you've got to be back in the office on Monday. You're free to be who you want to be in Rim Country. If you've always wanted to be a cowboy, there's plenty of equestrian fun to choose from up here. There's nothing quite like the wind in your hair when you're trail riding in Northern Arizona. Saddle up for a timberline trail ride, or spend the day at one of the local ranches. There are even riding camps and lessons for kids to enjoy on a year-round basis. It seems that just about everyone becomes a nature photographer after spending time in the pines. The picturesque landscape makes it easy to discover a new passion, and perhaps a new skill, while you enjoy the colorful, wild and always changing landscape and skies of Rim Country. You don't have to have a fancy camera or a darkroom to capture the beauty that surrounds you - just open your eyes and your mind and let your soul fill with memories to treasure forever. The Pine Valley area is home to several award-winning golf courses. Nestled within the largest stand of Ponderosa pines in the nation, The Rim Golf Club is considered one of the ultimate golf experiences in the southwestern United States. Serene and picturesque, rustic and romantic, The Rim Golf Club is ideal for the golfer who enjoys the benefits of joining one of the finest membership clubs in Northern Arizona. For those looking for a day of play, Payson Golf Course is a public course just a short drive down the mountain at the bast of the Mogollon Rim. With our mild and cool climate, golf lovers love that they can hit the links anytime the mood strikes.